In 2009 Liverpool John Moores University (LJMU) was introduced to a largely forgotten collection of negatives, ledgers and glass plates by the family of a local commercial and press photographer Keith Medley. The collection was eventually donated to the University and is and currently located at the Special Collections and Archives at the university. Keith Medley worked in and around Merseyside for most of his career between 1949 until his retirement in 1987. The accompanying photographic ledgers revealed a broad range of subject material drawn from around the region documenting a variety of events including: sport, portraiture and commerce. 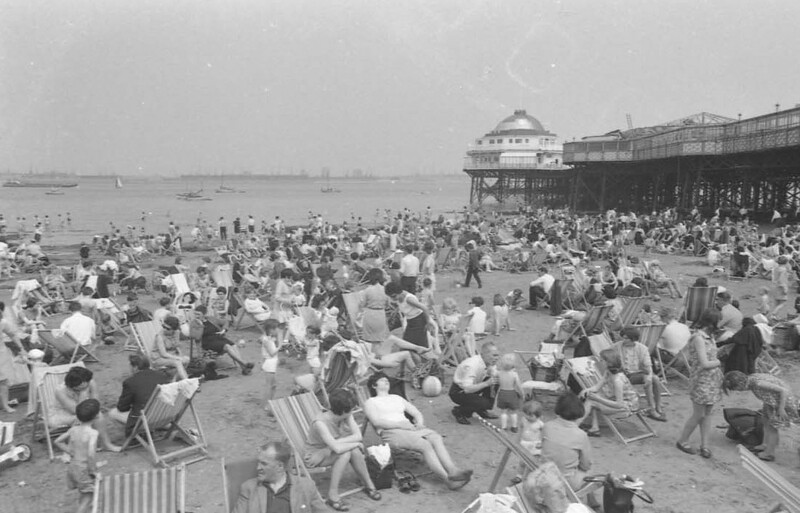 A small portion of the archive also featured the local seaside resort of New Brighton and many of the original negatives and glass slides show activities from the resorts heyday back in the early 1960s. The resort of New Brighton is a small seaside town on the Wirral coast at the mouth of the River Mersey. 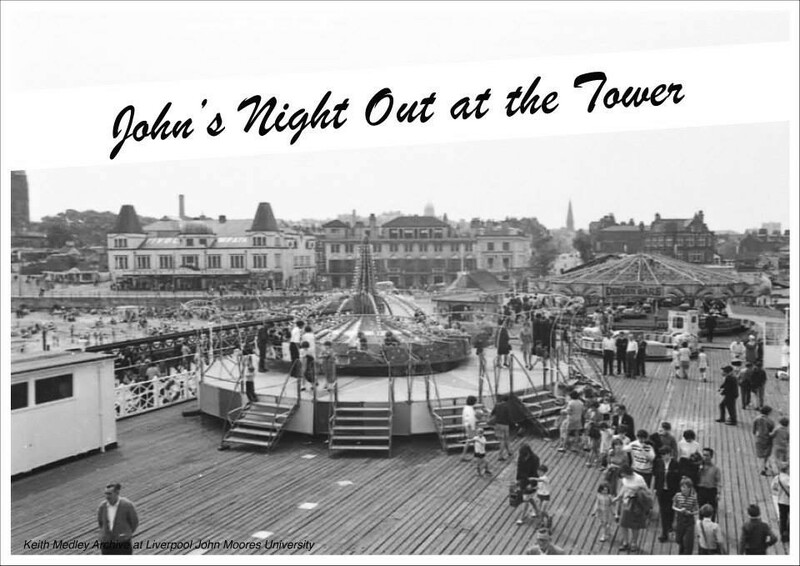 It was a favourite destination for family outings from the nearby city of Liverpool and many made the short journey across the river via the New Brighton ferry service. 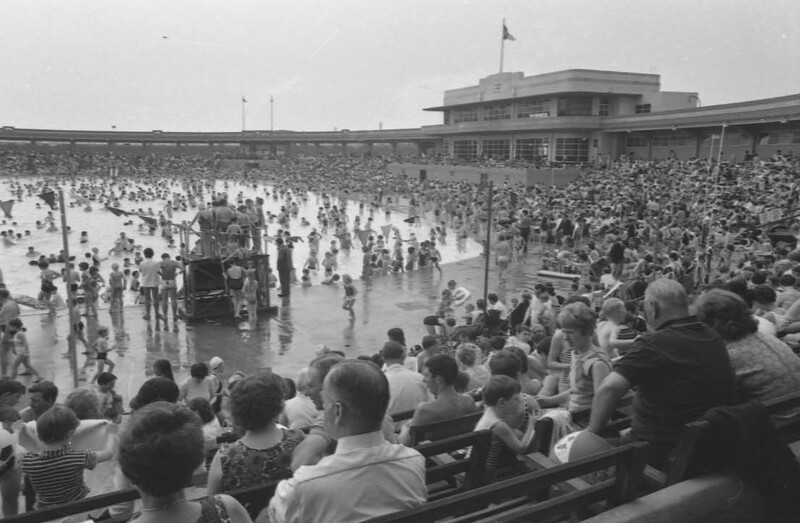 This aspect of the collection portrayed typical seaside activities and included many of the resorts former attractions including: its pier, fairground and large outdoor bathing pool. 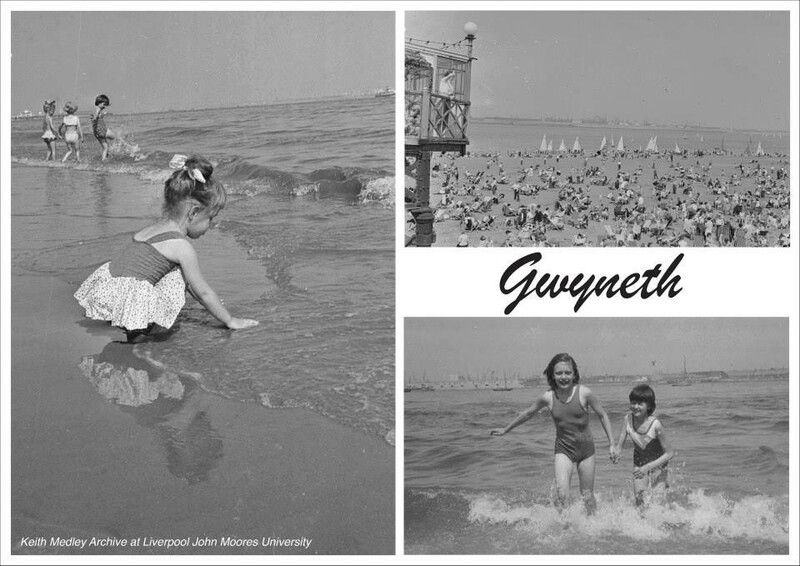 Because of its long association with the City of Liverpool residents from around the region affectionately remembered the resorts heyday as a place of fun and entertainment. A small representative sample from the collection, depicting typical seaside activities, was assembled to form a series of memory packs to be used by student volunteers as part of a series of workshops conducted at two local community centres in Liverpool – The Poppy Centre, run by Age Concern, and Kensington Fields Community Association. Working with pensioners from both centres, the activity workshops encouraged moments of personal recollection and at times lively debate around the theme of family excursions and teenage visits to the seaside. Although a number of participants were initially rather hesitant, particularly about their ability to recall events so far back in time, however, the use of photographic documentation provided an effective means prompting memory discourse. Audio recordings from these workshops provided useful context and helped determine subsequent lines of enquiry. The workshops were also seen as an effective icebreaker helping to break down the age barrier between volunteers and student helpers while encouraging further participation. Following this initial success volunteers expressed a keen interest in developing their role and participation with the project subsequently volunteering to take part in a series of more personalised interviews to be conducted in front of camera and with each interview adding further depth and voice to the collection. The second phase of the project built on the notion of the traditional seaside post card and involved the creation of a series of individual personalised post cards depicting a number of images drawn from the collection, each one selected by the our volunteers. 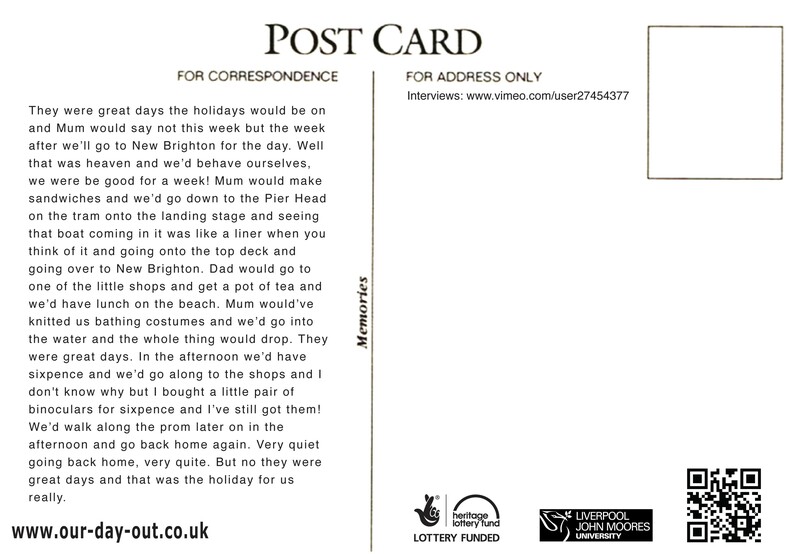 The ensuing post cards also incorporated excerpts taken from interviews, again further extending the post card metaphor while providing a recognisable association with the past, which contributors could directly relate to. This approach was further augmented by the integration of Quick Response (QR) codes, printed on the reverse, which enabled access to individual video interviews using appropriate smart phone technology. It was felt that by facilitating access to traditional and familiar forms of distribution, participants were given a more tangible and recognisable keepsake. The post cards also offered further opportunity for distribution amongst friends and family and provided opportunity, for those with appropriate technology, to have access to video transcripts via the OR codes. The final phase of the project involved the creation of a dedicated website to host outputs and promote comment and further reflection. The website, entitled ‘Our Day Out’ also included a short form documentary by way of an introduction. This experience was also replicated through social media channels, which again extended discussion and provided further context. In some instances the posting and sharing of content threw up some unexpected consequences, including several postings, which later identified individuals from the archive. To celebrate the completion of the project, a series of exhibitions featuring framed photographs together with contributions collected from all the interviews was available at the two participating centres and a further and more formal exhibition was curated at the Museum of Liverpool in 2016. Our Day Out brought the existence of the Keith Medley archive to the public eye and successfully demonstrated the potential of the archive as a valuable social document bringing about substantial public interest. Our Day Out has also tested the water with the collection and demonstrated the potential of such an archive as important social record of everyday life.